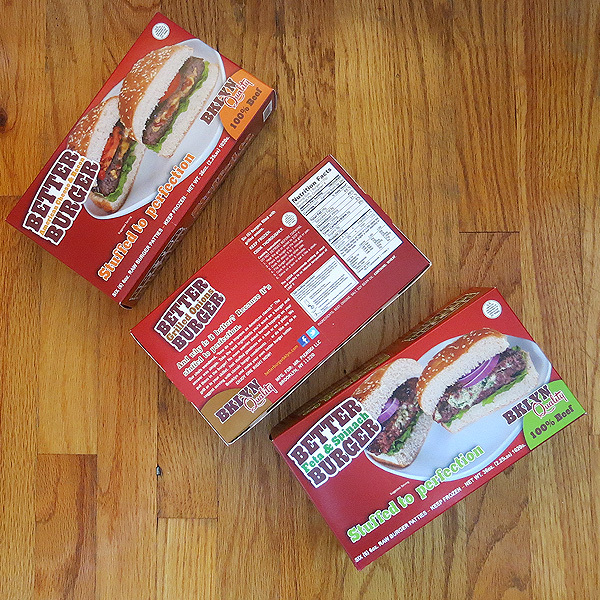 Through Lost In Brooklyn Studio, I was able to create the Better Burger brand for Mr. Pierogi/Alex’s Meat and Provisions brands from the ground up. 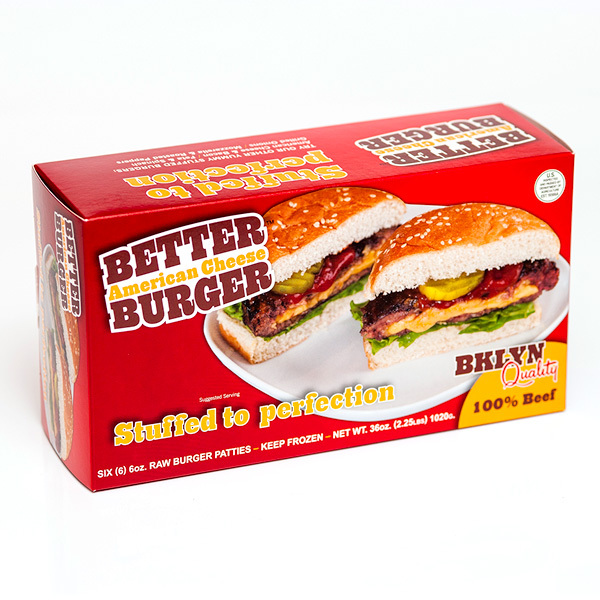 Why is it a better burger? 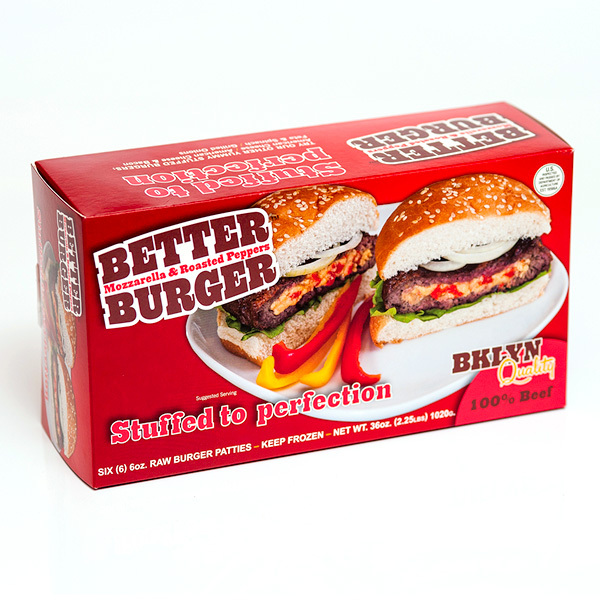 “Because it’s stuffed to perfection”—the tagline we came up with after the creators described their new and unique stuffed burger product. 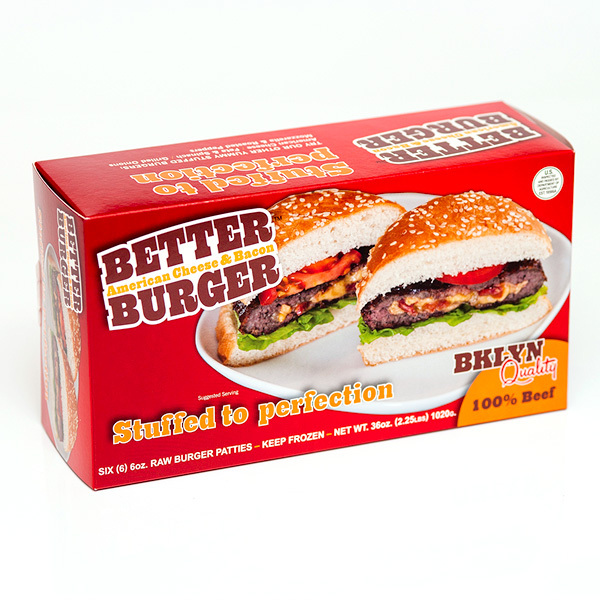 Since the product was a new idea with a playful edge (what’s more fun that a backyard bbq? 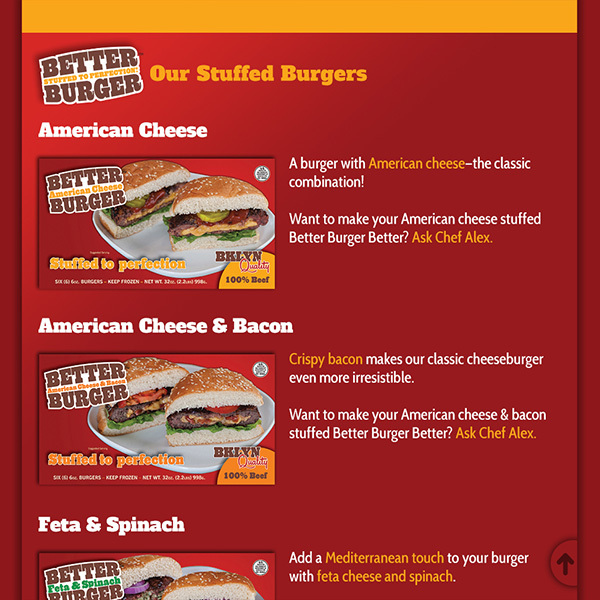 ), we decided on doing a simple type-based interpretation of the shape of a hamburger with the name of the specific type of stuffed burger, such as American cheese and bacon or feta and spinach, stuffed inside the logotype. 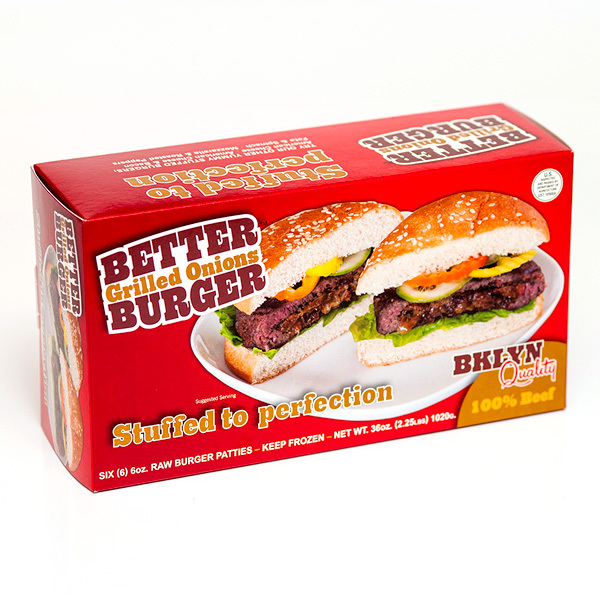 Once the logotype was complete, the brand was extended to the packaging and sales materials. 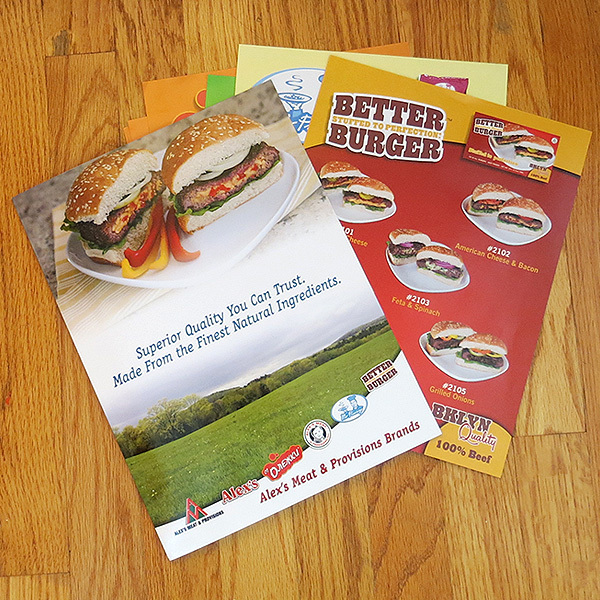 Again, there was a playful twist to the design of the collateral. 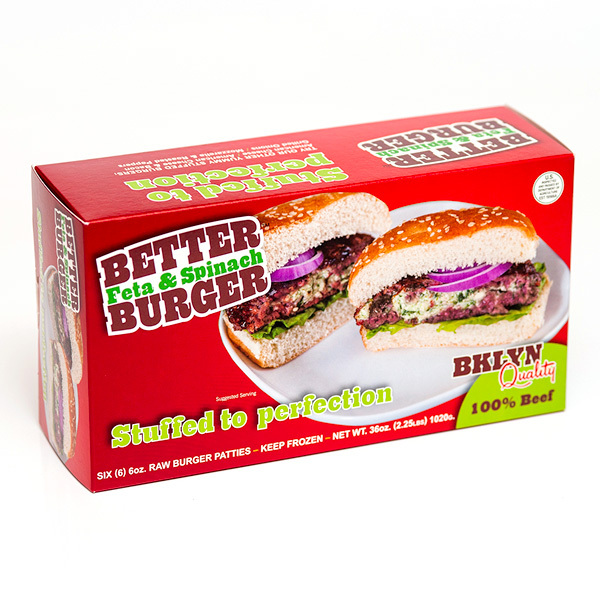 Since the client is based in Brooklyn and the products are made here, we thought it a good idea to jump on the “Brooklyn-brand bandwagon.” Not only did we add a “BKLYN Quality” stamp of approval to the box, but our copywriting took on a bit of that Brooklyn swagger to boot. 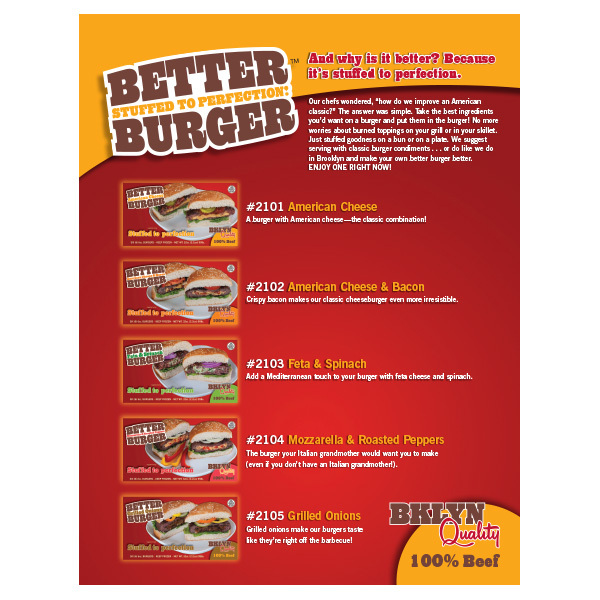 The sales sheet (part of a larger sales kit, see below) carried the established brand fonts and colors to complete the package. 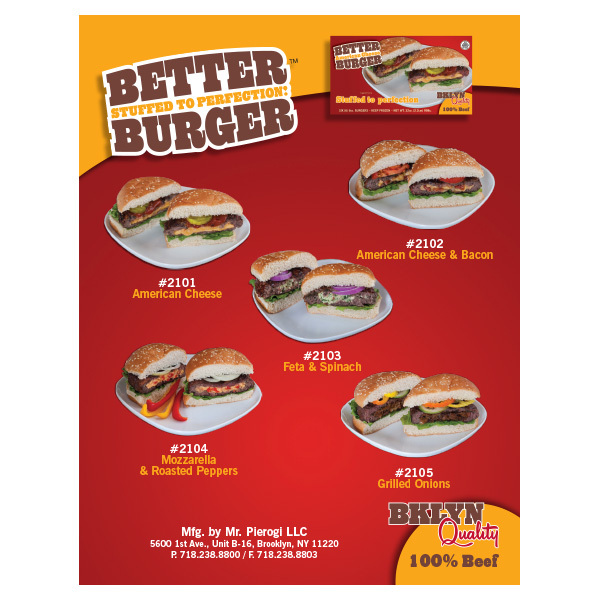 The final brand extension is the Better Burger website betterburgerbklyn.com. We developed the UI/UX for WordPress CMS in partnership with Façade Interactive. 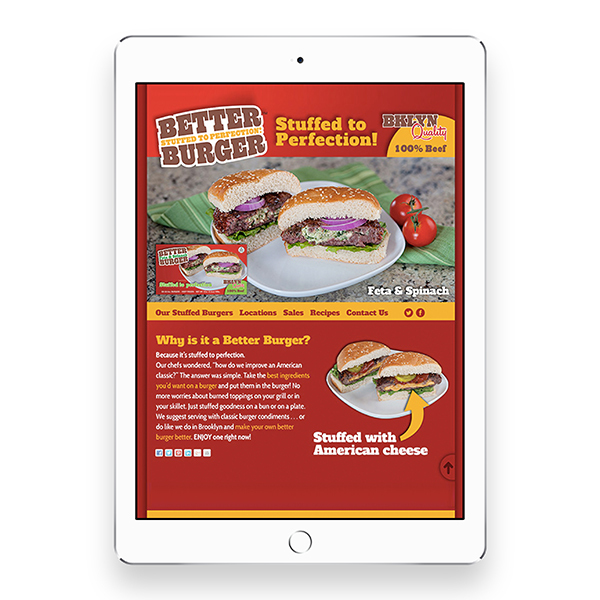 The site will feature information about the burgers and where you can purchase them, recipes, social media and wholesale sales information. 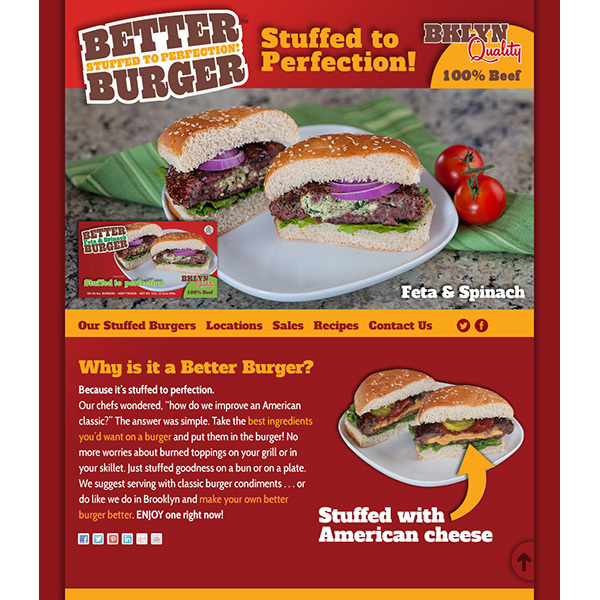 It was designed to be stackable/responsive and web 2.0 in style with a a top slider and a modal “back to top” button. 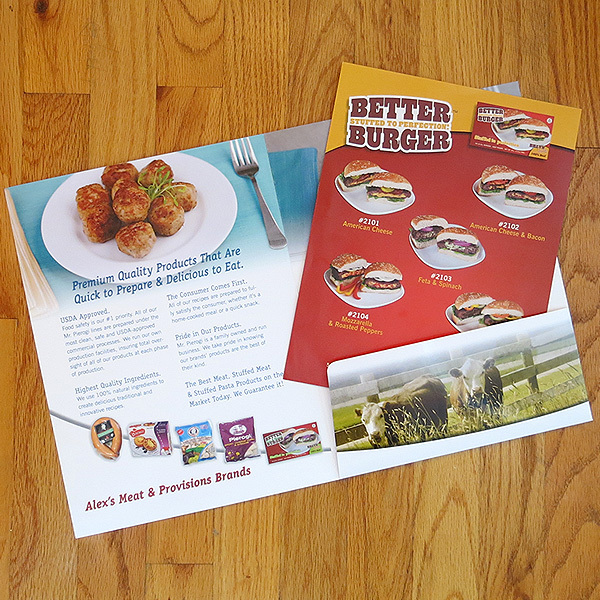 As part of the overall work we are doing for the main brand Alex’s Meat & Provisions, I also worked on the sales package that features all six of their branded product lines. 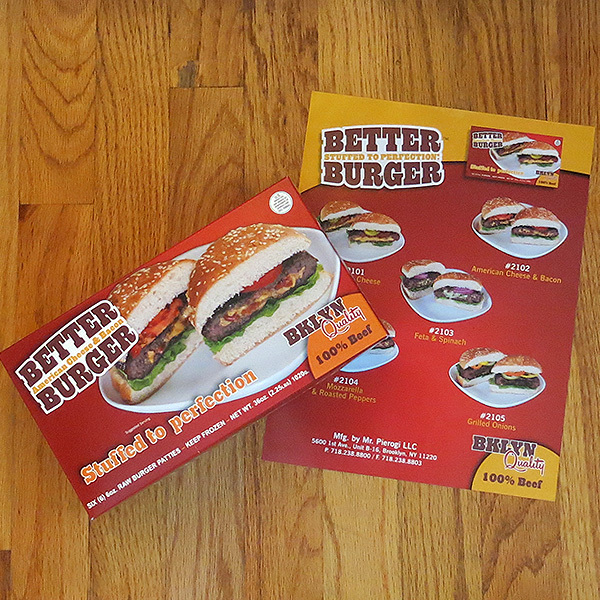 The sales sheet included sheets for all five existing brands plus Better Burger and an outer pocket folder which uses the product images shot for the package. 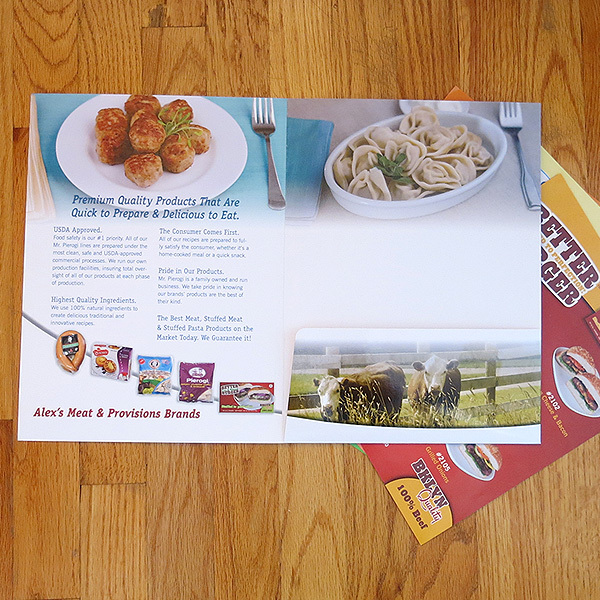 It was a pleasure to work with Mike Sheehan as the photographer and Roscoe Betsill as the food stylist under my art direction.